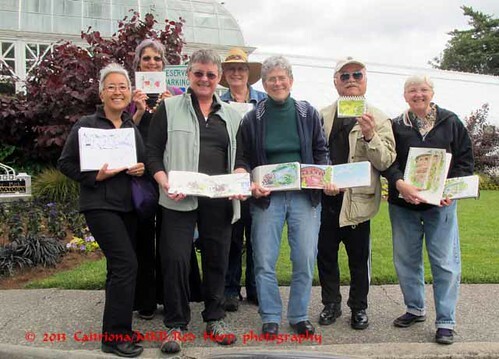 The Friday Sketchers met again at Volunteer Park for an ad hoc sketch outing. 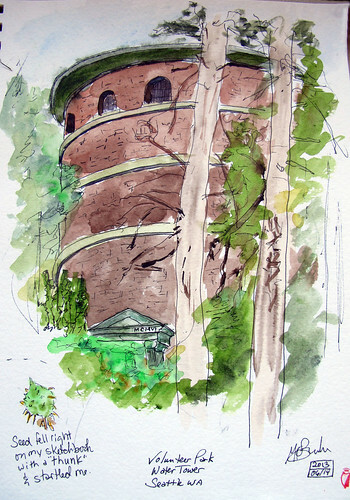 I found a view of the Water tower to sketch. While sketching a little seed pod landed with a "thump" on my page and startled me. So I set it down to sketch it into the drawing! What isn't able to run off gets sketched. As usual, we met up to share out sketches. Great work! There are few more photos in this set. Great tower, Kate. Thanks for sharing the day with the rest of us.